South by Southwest (SXSW) is right around the corner and event professionals are in overdrive to claim their real estate for the festival. 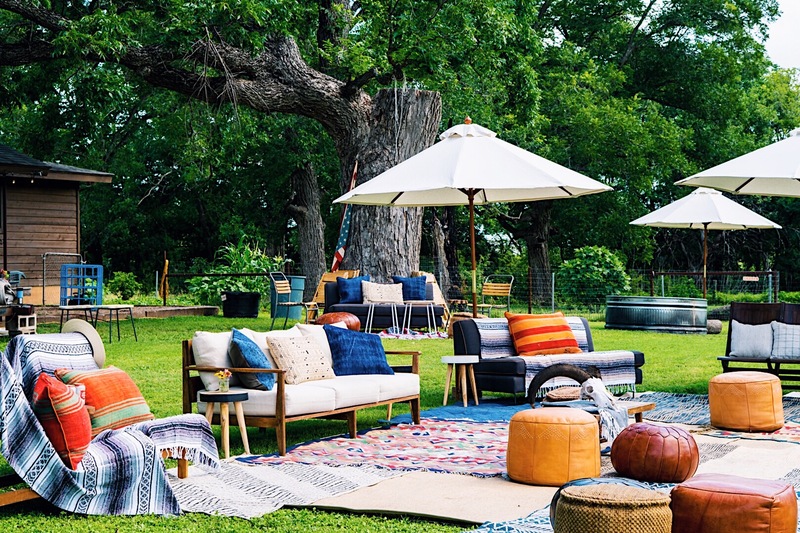 Here are a few SXSW venues that we consider to be local hidden gems and perfect for a corporate activation or kick-off party! Gather Venues – Monroe St. The Monroe St. location of Gather Venues is a flexible event space just south of the river – minutes from town. The 200-person venue features a prep kitchen, breakout rooms, and a spacious quarter-acre backyard with Live Oak trees, making it a great option for those who need a little bit of everything. We’ve had the pleasure of working with these folks several times and highly recommend the space! This underground spot is tucked in the bottom of the garage at Colorado and 5th St (503 Colorado). Delicious cocktails, cool mid-century designed space, perfect location… this is a memorable spot for your small SXSW party. Located in the same building that has Garage Bar on its ground floor, there is a true hidden gem on the upper level of the parking deck. Outfitted with fake grass, a bar, and basic seating — this small private area has a great view of downtown and will make your guests feel like they’ve discovered something really special. The only issue is that we don’t know exactly how to put you in touch with the people who rent this. BUT if you go to the location and ask around I’m sure you can find out! This place is so cool! Tucked behind an office/house right in the heart of South Congress, lies a magical airstream trailer jungle. Yup. Jungle—at least that’s a bit what it feels like. The layout is hard to explain but includes multiple indoor and outdoor areas to host a sweet fun filled day or night event. This place is also a giant Airbnb, so your staff or guests might be able to stay here too if having a multiple day shindig. The Allan House is a historic Victorian home in the heart of downtown Austin. This charming space has surrounding oak trees that make it ideal for indoor or outdoor corporate functions. The Allan House offers open houses throughout January to allow event professionals to come in and tour the property. This event space is located above La Condesa — featuring exclusive catering from the restaurant below. It offers great views of the city skyline and space for folks to mingle inside and out. Located on Sixth St., this bakeshop and beer garden is a prime venue for SXSW events. They have party booking packages depending on your needs — imagine artisan bread, locally roasted coffee, housemade meats, a full bar, and more than 30 local and boutique draft beers all enjoyed on a private patio. This east side space has a lot to offer as a multiple level warehouse. Its communal courtyards and covered breezeways emphasize the connectedness between art, culture, and the public. Essentially, it presents visitors with everything Austin is proud to offer in a space ideal for community engagement and collaboration. Atmosphere is a co-working space that also serves as an “industrial chic” event space for workshops, parties and conferences for up to 250 people. With its on-site parking, open floor plan and natural light — the venue can be transformed with your brand in mind.